Double Click on the guide's photo or their link to go directly to their site. Guide listings are in alphabetical order. The most important thing to know about me is that I love to fish, always have, and always will. 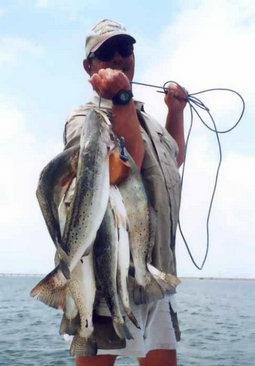 I have many years of experience out in the Lower Laguna Madre. Each guided fishing outing is catered to you whether it is your first time fishing or you are a seasonal angler. Kids are always welcome. Although catching fish is not always a guarantee, I try my hardest. 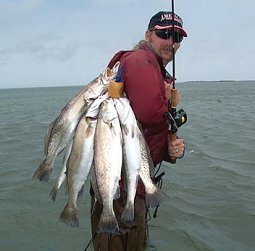 I specialize in drift and wade fishing, sight casting for redfish using artificial lures or bait, including bay fishing for trout and black drum. My goal is for all my customers to have an enjoyable fishing trip, letting me take care of the hard work. I also book for duck hunting when in season. BOOK YOUR TRIP TODAY! 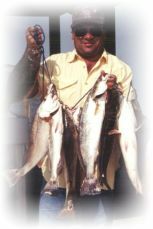 Captain Brent Hopkins is a full-time professional fishing & hunting guide for the Rockport area that has been providing outdoorsman with some of the best adventures of their lives for the last 15 years. 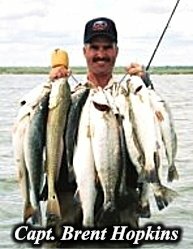 Fishing & hunting from San Antonio Bay all the way into Baffin Bay. We can accomodate families, corporate groups, and tournament fisherman with the latest gear and tackle that money can buy. Novice to expert, women & kids alike, welcomed!!! Come and join the many satisfied clients and freinds of Ace in the Hole Guide Service. Call us TOLL FREE at 1-866-663-2221. 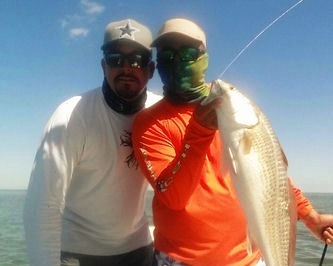 Captain Kevin McCoy is beginning his fourteenth year as a �FULL TIME�, professional, saltwater fishing guide fishing the area bays and flats of Rockport, Aransas, and Corpus Christi, Texas. 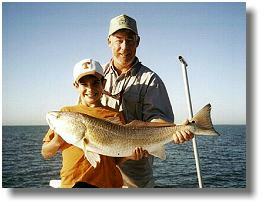 Aransas Bay, Redfish Bay, Corpus Christi Bay, Nueces Bay, and the Laguna Madre are Kevin�s home waters. These pristine waters are loaded with trophy Red Fish, Speckled Trout, Black Drum, and Flounder. Kevin�s knowledge of these waters is unsurpassed. Whether you are a novice or experienced angler, like to fish with artificial or live bait, a large group, a family, or a small group of good friends, Kevin would love to spend the day on the water with you, any season of the year. 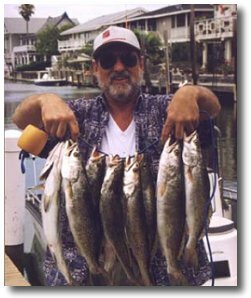 Kevin has been described as �The hardest working guide on the Gulf Coast�. Hundreds of enthusiastic, repeat clients look forward to their time fishing with Kevin as a highlight of the year. You can be confident your party will have a safe, fun-filled, fish- catching time fishing the beautiful Coastal Bend waters with the �Reel� McCoy! Captain Kevin is U.S.C.G. 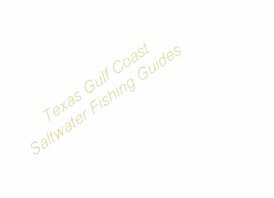 and State of Texas licensed, is a member of the Coastal Bends Guide Association and The National Association of Charter Boat Operators. Tempted by the lure of the great outdoors? Then plan your next charter with Horizon Outfitters and experience all that's offered by Baffin Bay and the Laguna Madre. You'll fish in salt waters that offer a steady diet of trout, and reel in redfish while gazing at wildlife on the legendary King and Kenedy Ranches. Captain Dallas Furman and our other licensed professional guides offer fishing trips year-round and customize saltwater excursions to fit any angler's technique, experience or age. Whether it's an exciting multi-day trip for 10 or a relaxing day on Baffin Bay for two, their knowledge of the habits and habitats of species native to the Coastal Bend is evident. 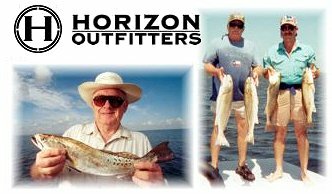 trips@horizon-outfitters.com, call 361-658-4465, 361-592-9162 or toll free 1-877-844-8433 today to plan your trip. Then, hop aboard for a reel good time! I was born and raised here in the Coastal Bend. Fishing is just away of life in Rockport. My boat is a 22 foot Bay Stealth powered by a Mercury 225 hp. Optimax. I fish all area bays and flats.Bait and lure fishing. Families and groups are welcome. We can also handle a company needing several boats! For that last minute trip call my mobile number at 361-549-4389. If you are interested in the use of this domain name, contact the webmaster of this site for information.